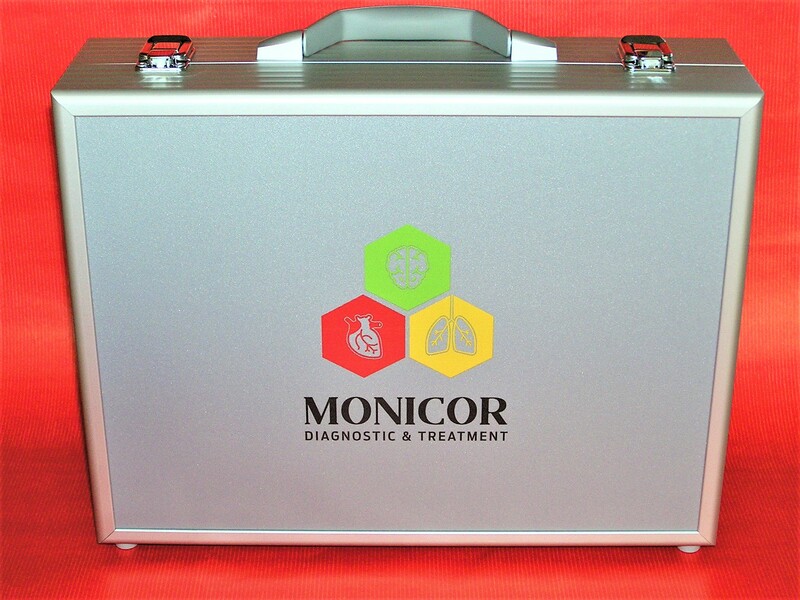 MONICOR is delivered in a case with a console unit that is linked up with the PC / Laptop via USB port. The programs are on a USB flash drive. Further product contents are cardio electrodes (clamps) with coloured conductors, some adhesive electrodes, a wire for the electrode with a sticky patch. 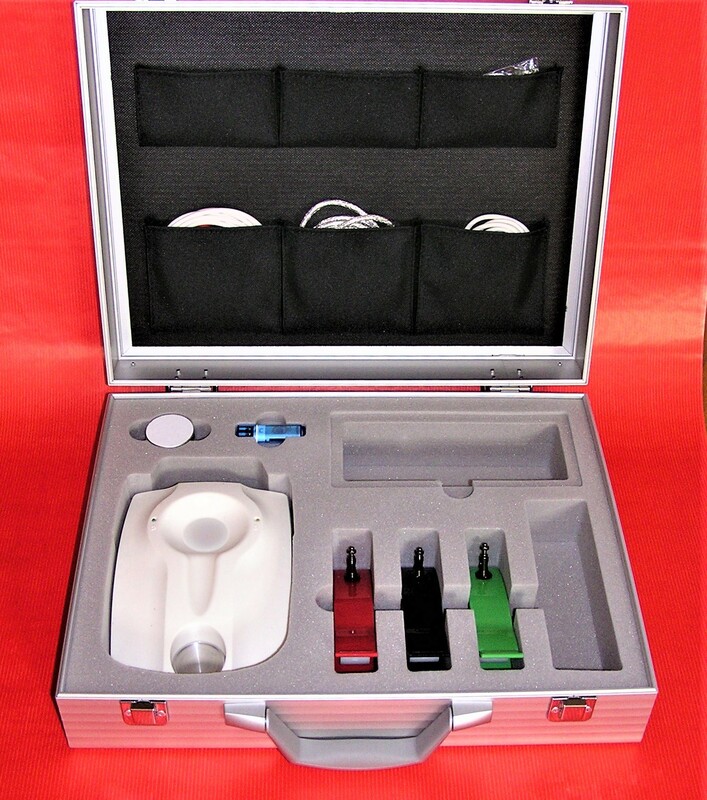 The initial equipment contains some adiitional information carriers for the treatment. 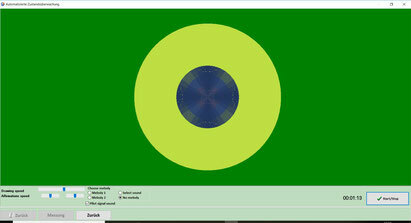 Monicor is sending frequencies that are corresponding to the special frequencies oof the parasites, bacteria and so on. If one of the pathogens is in the body and active it would react to these frequencies. This is measurable by MONICOR and can be evaluated according to the reactions. 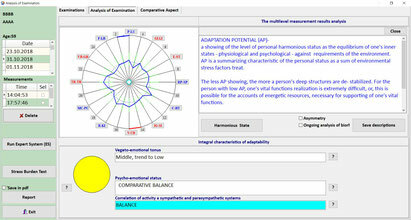 Since each pathogen has its own specific frequencies the respective pathogans can be found with a high confidence. Which pathogens can be found by MONICOR? salmonellae, hepatitis b or c, herpes, HIV, borrelia, pneumococci, streptococci, campylobacter, heliobacter, SARS and many others). Monicor reads frequencies from the entire body – all organs and body parts – analyses these by comparing with normal values and thereafter shows the health condition. 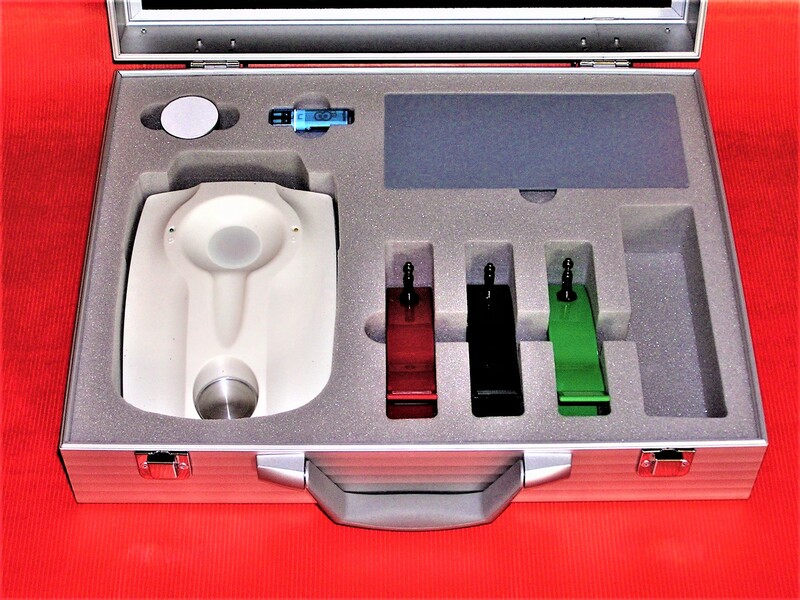 If there are deviations from normal values, the device is able to correct the frequencies and improve or restore physical organs and body parts. 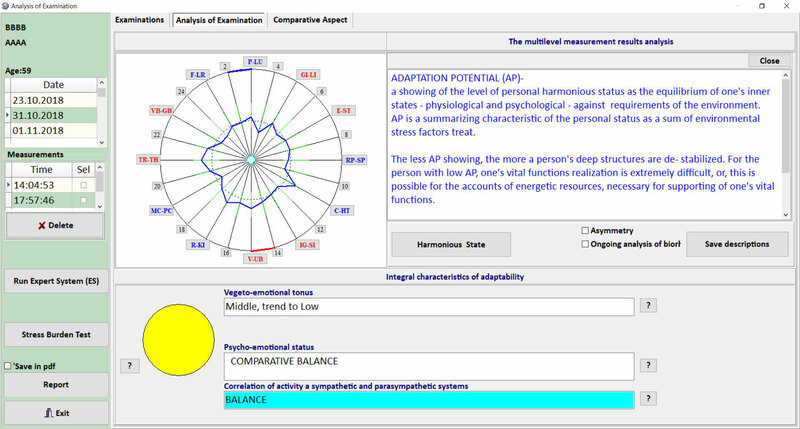 Monicor also reads the frequencies of acupunture points and which points are weak. By selecting the weakest points and also correcting these, Monicor offers the optimal acupuncture treatment – without needles! 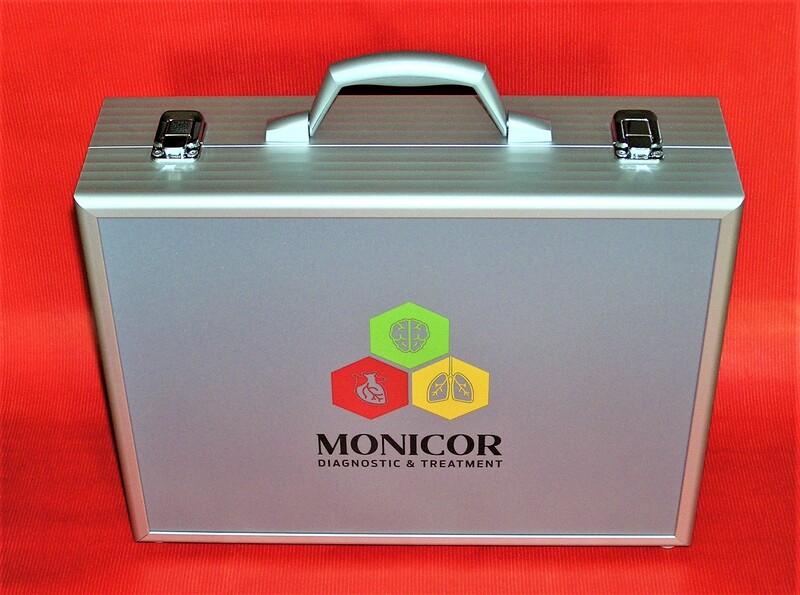 The program MONICOR is offering different therapies that can be used separately or together. The meridians can be regulated based on the measurements made. MONICOR is regulating by itsef those meridans with the highest attention. 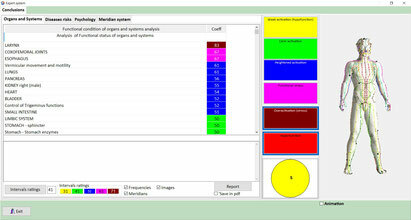 During the regulation a permanent feedback process is taking place so that the system is able to act on the reactions. If MONICOR has found any pathogens it offers the opportunity to treat these pathogens at once target oriented with frequencies. This treatment by frequencies can be supported by an individual music- and / or colour-therapy. Additionally MONICOR offers the opportunity to create information carriers if there are longer therapies. These carriers are sticked to the skin and shall unfold its effect within approximately 5 - 8 hours.